A Cape Town urologist, who is an accredited robotic surgeon, has completed a milestone 200 robotic-assisted prostatectomy procedures at Netcare Christiaan Barnard Memorial Hospital. “It is a great pleasure to congratulate Dr Conray Moolman on achieving this landmark 200th da Vinci robotic-assisted prostatectomy. We are privileged to have a number of highly skilled surgeons who have been trained and accredited to perform robotic-assisted procedures at our hospital, and our patients are benefitting from their expertise and the sophisticated da Vinci robotic technology,” says Chris Tilney, general manager of Netcare Christiaan Barnard Memorial Hospital. Since June 2014 to date, over 510 da Vinci robotic-assisted procedures have been performed at Netcare Christiaan Barnard Memorial Hospital. In addition to Dr Moolman, urologists and accredited robotic surgeons, Dr David Bowden, Dr Paul Whitaker, and Dr Anesh Naidoo, as well as Dr Shaun Smit who is working under proctorship towards his accreditation, also perform robotic-assisted surgery at Netcare Christiaan Barnard Memorial Hospital. Dr Moolman, who trained in Belgium and locally in da Vinci robotic-assisted surgery, explains that the system is indicated for the management of localised and locally advanced prostate cancer and has a number of advantages over traditional surgery. “The highly advanced da Vinci surgical system offers high definition three-dimensional visualisation capabilities, which allows us as surgeons to see the nerves and tissues at a magnification that is 10 times greater than what the human eye can see,” Dr Moolman notes. 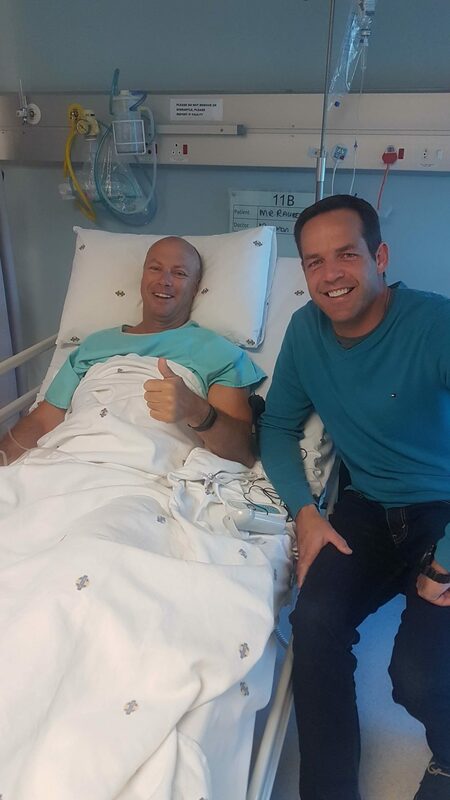 Dr Moolman, who is a registered da Vinci training surgeon, performed his 200th procedure on 54-year-old patient, Mr Ian Raubenheimer, who underwent a radical prostatectomy and was discharged the following day, spending only one night in hospital. On average, patients who undergo robotic-assisted prostatectomies have less need for blood transfusion during surgery, a reduced risk of complications and less discomfort post-operatively, a shorter recovery period compared to patients who have traditional surgical removal of the prostate gland, and are generally able to return to work sooner. Tilney notes that Netcare Christiaan Barnard Memorial Hospital is one of only two centres in Cape Town equipped with this technology, and treats patients from across the Western Cape and further afield. Men in the communities that Netcare Christiaan Barnard Memorial Hospital serves have been able to access this world-class surgical option for prostate removal since the technology was introduced at the hospital in June 2014. “We thank all the excellent robotic surgeons for applying their expertise in our facility. Through their expertise, hundreds of patients have been able to benefit from this highly advanced surgical system for the treatment of prostate cancer,” Tilney concluded.